A modern interpretation of a classic. 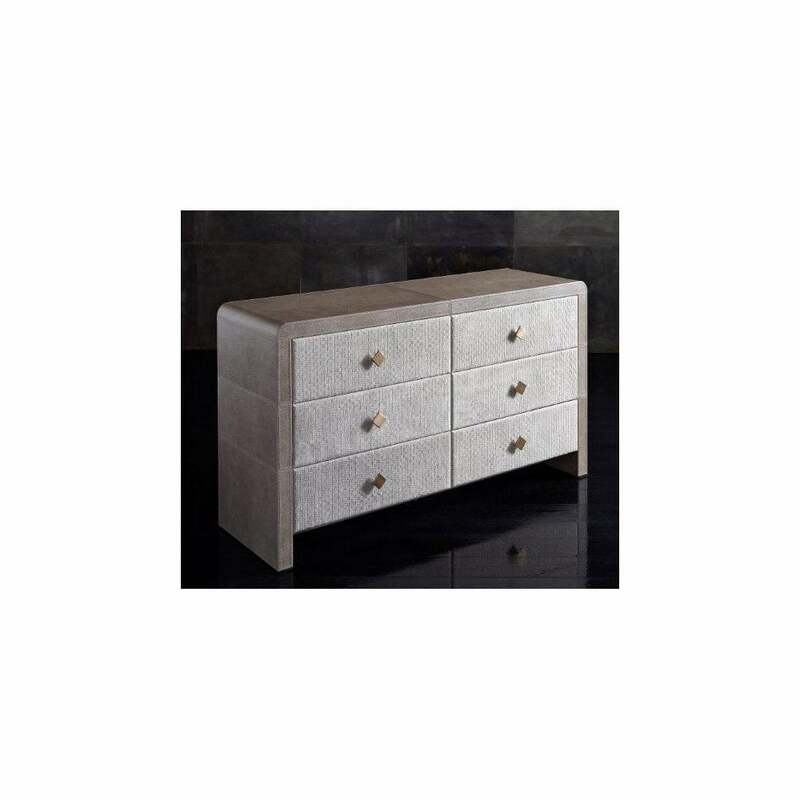 The Reko 6 Chest of Drawers by Rugiano epitomises chic and understated Italian design. The sleek shape gives focus to the luxurious finishes. Reko is fitted with six drawers and complemented by steel or bronze diamond shaped handles. Upholstered in the highest quality Pelle or lacquered leather, choose from a variety of options to suit your interior style. Use to store clothing and accessories and display your most treasured objects. Combine with other bedroom furniture pieces in the Reko range to create a cohesive look inspired by the finest hotels in Italy. Available in two sizes, make an enquiry for more information.